Dr. Sharad Pendsey was awarded Late Prof. Dr. Viswanathan Memorial Gold medal at the Annual conference of APDF at Warangal in 2010. 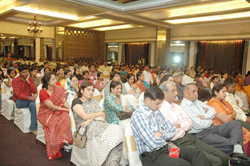 Dr. Sharad Pendsey was an Invited Speaker at World Congress on Diabetes held at Dubai in December’ 2011. He delivered Guest lecture on ‘Socio Economic Problems of Diabetic children in India”. It was very well received by the August gathering. 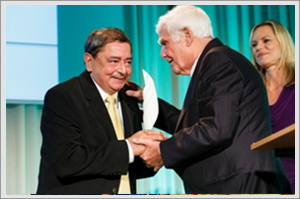 Thomas Fuchsberger Award 2013 for Active engagement in the care and support of the people with diabetes . Mr. Joachim Fuchsberger is a famous film and television celebrity very popular for the last 62 years in Germany has instituted this award in memory of his son Mr. Thomas Fuchsberger who was very popular musician and had several hit albums to his credit died in 2010 . He had type 1 diabetes and died while swimming in a river due to hypoglycemia. 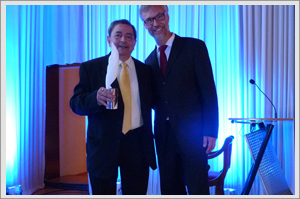 The award is of 5000 Euros and was awarded to Dr. Sharad Pendsey on 24th October 2013 at Diabetes Charity Gala evening in Berlin. 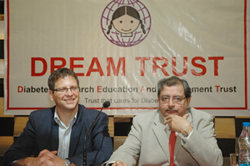 DREAM Trust organized Parents & Children Meet on February 2, 2011. Prof. James Ron from Canada was the Guest of Honour. Dr. Pendsey and some parents of type 1 diabetic children addressed the audience. The emphasis was on treating these diabetic children at par with non diabetic children. Prof Ron who is also the father of a diabetic child shared his views and experiences. He was awarded “Friend of DREAM Trust”. 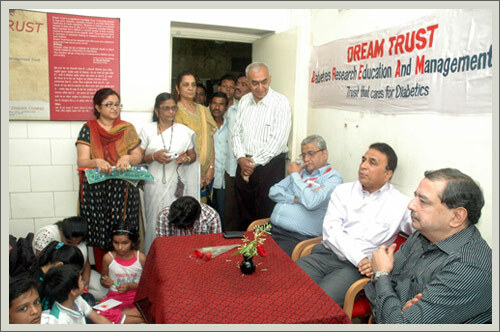 In December 2012, Mr. Sunil Gavaskar, one of the finest opening batsman of India visited Dream Trust . During his visit he interacted with children of the Trust, encouraging them to “Dream big , work hard and believe” and to not get discouraged because of their diabetes. He also took time to answer several questions posed directly by the children, and his presence and participation was an inspiration to all who attended.